Learn the side effects of cosmetics and the possible steps you can take to eliminate the bad effects of cosmetics from your skin! Many of us have the issue of hyperpigmentation and headache along with skin allergy. 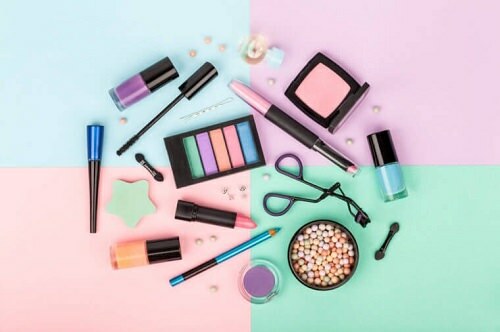 If you’ll notice the ingredients of makeup products, you’ll be shocked to see the number of chemicals it has. Try not using these products for 15 days and the results might be surprising! So what did I do to my skin and what did I apply instead? After waking up I washed my face with cold water and did not apply any chemicals for the rest of the day. I drank lots of water, to be precise- 3 liters. I avoided soda and other carbonated drinks and even coffee. Mix all the ingredients well and make a paste. Wash your face with cold water and apply this on your skin and let it dry for 15 minutes at least. This will provide all the essential healing ailments to your face. The chemical products are a major reason for the dry and rough skin. This happens because these products take away all the natural essential oils from your skin. Apply this magical paste on your skin for 15 days and you’ll start to notice the changes soon. Same as day 1 but this time I didn’t use the Air Condition at all. The ACs make your skin dry. It’s better to get some fresh air, open up the windows, let the fresh air slowly blow your face. I massaged my face with Aloe Vera gel for a minute in an upward direction. I didn’t apply any makeup on any of the days during the experiment. The rest of the days were almost the same and like this, I was on Day 15! The comparison made me shy. I didn’t believe at all the difference that I saw. The results were truly great. I wanted to share this with everyone so that everyone can get benefits. My face was not having any rashes, dark patches or white marks. The skin was hydrated because of the water intake (it’s important to drink a lot of water during this experiment). Yes, I was totally happy with the results. Later I refrained myself from makeup and other harmful products, but sometimes I do use lipstick and eyeliner!